June and July a mixed bag for Nicole. 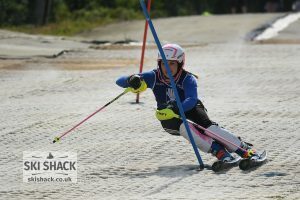 The race calendar was quiet for the first two weeks of June, so Nicole had time to take part in a few training sessions at Aldershot, which is always beneficial to keep focused and the ski legs moving. 16th June was a local race in comparison to some, 1h 30 mins journey to Aldershot for round 3 of the Snowsport South series. This is always a popular race to attend and with a total of 126 racers it was a good spectator day too. 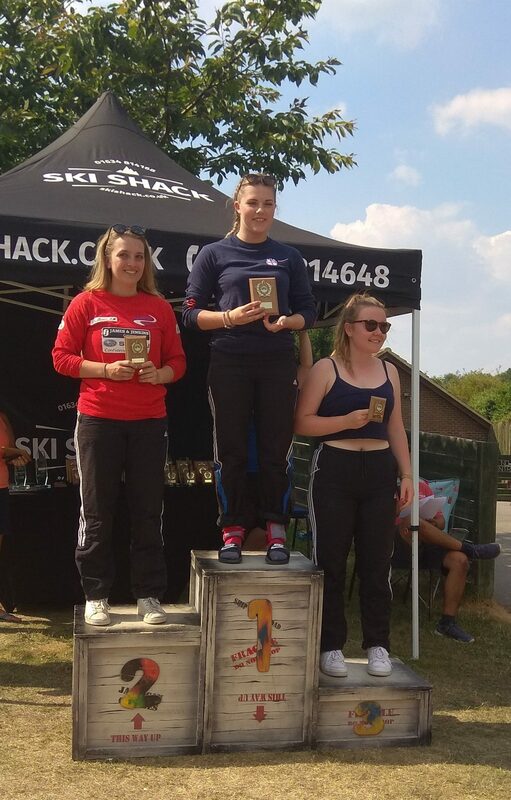 With the fastest time to count over 3 runs and the weather heating up, the pressure was on to get a quick time from the start with Lauren pushing Nicole in every run. After run 3 Nicole’s fastest time was 8.05 and Lauren 7.82. Nicole took 1st place in U21 category and 2nd fastest female overall and 5th fastest out of the 126 total racers. In the head to heads that followed Nicole won all 3 races so added another 3 points to her ongoing tally for SSS series. It was then a drive to Gloucester for the night, ready for a Club National race the following day. This was not Nicole’s day! Unfortunately, after stradding a gate on run 3, she was disqualified. Nicole did have the fastest tine on run 1, but you also had to complete run 3 adding this time to your fastest run 1 or 2, to win. A day trip to Welwyn Garden City on Saturday 23rd June followed for the ERSA Club National. Nicole made no mistakes at this race and took top shot. Also recording the fastest time overall males and females. 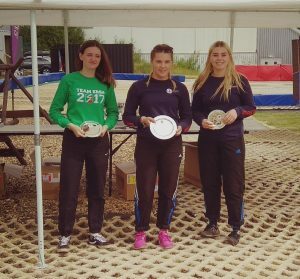 1st U21 and fastest female overall. 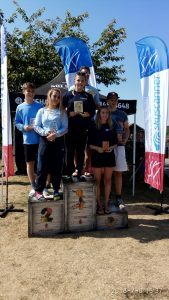 Next was a trip over the Severn Bridge into Wales for the GBR outdoor 2 and 3 races weekend. Again with mixed results. 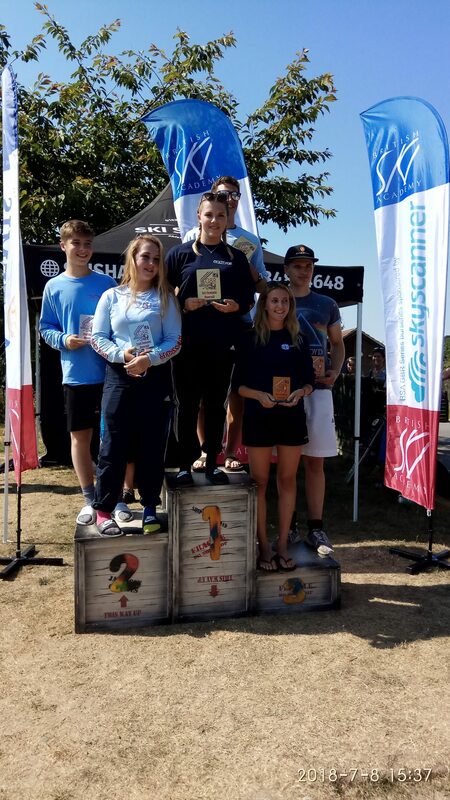 Nicole had an early finish on Saturday as she unfortunately made a mistake halfway down the 1st course and had to abandon and therefore was disqualified and unable to inspect or race the 2nd course that was set. 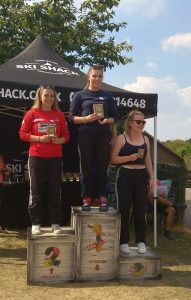 However, she did bounce back on Sunday and was probably one of her most convincing wins of the season, taking 1st place in U21 and fastest female overall with a gap of 2.75 secs over 2nd place and 3.48 on 3rd. 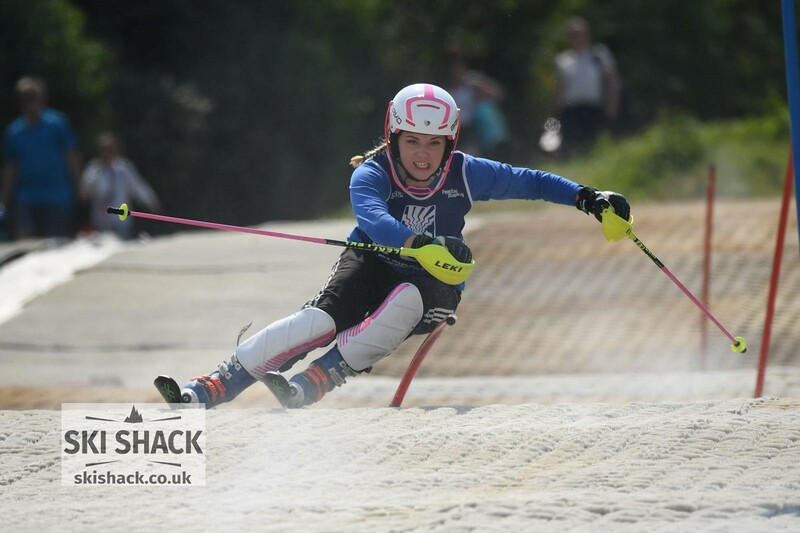 The two different courses really did test the ability of the skiers, reading and course, inspecting it correctly and ensuring you had the right line coming in and out of gates which was so important and certainly showed which racers could cope with such technical courses. Out of the 62 who started the race in total, 17 were disqualified, which is a very high number in ski racing terms. 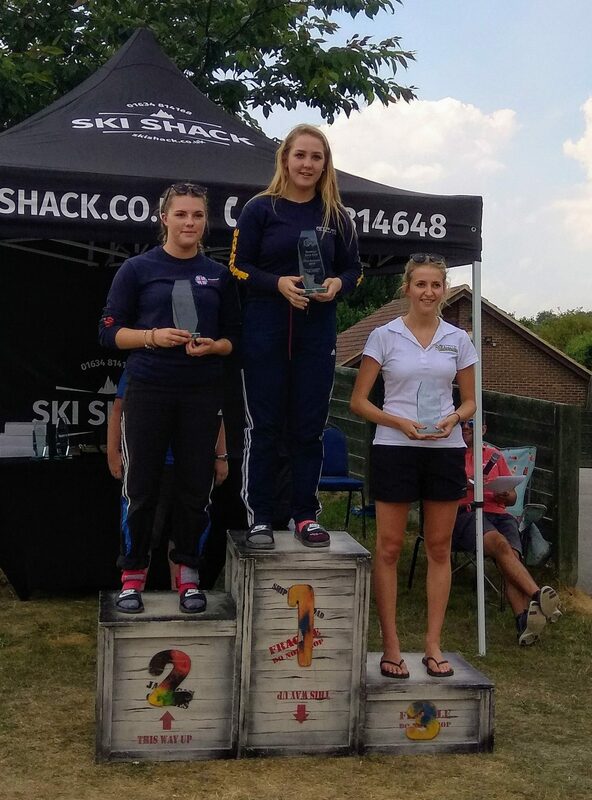 The following weekend it was a trip back to Chatham ski slope, the 3rd time this season so felt like a home slope… Sunday was a Club National and Sunday the final GBR Outdoor race 5. 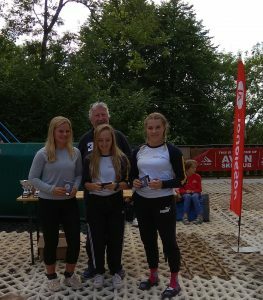 Lauren and Nicole once more battled it out with only hundredth of seconds splitting them overall, with each of them taking a top spot over the double header. Nicole 1st U21 and 2nd fastest female on Saturday and 1st U21 and fastest female of Sunday. After returning from holiday in the sun, Nicole’s final race for July was in the Mendips, Avon and West Counties Club National. This is the first time she had raced here, a very unusual slope, steep and “s” shaped, anyone who has raced here before has always said, “don’t expect much the first time, a ski out or fall is the norm”. Unfortunately, both was the case for Nicole. A nasty fall on run 1, a mistake on run 2 and a disqualification on run 3 and maybe she was still in holiday mode! August is the start of the outdoor championship races where winning does really matter. The All England in Sunderland at the end of August, Welsh in Pontypool, British in Edinburgh and Irish in Dublin during September. These races will determine who becomes the zero point racer at the end of the season, taking the top prize in the dryslope calendar. Fingers crossed Nicole will retain this title.